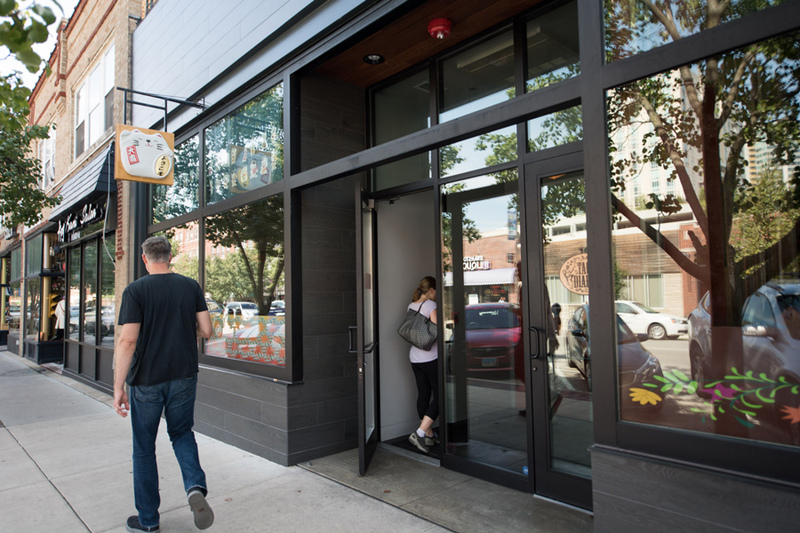 The outside of 1026 Davis St. Spenga, a workout franchise, is in the permitting process of opening a studio in the building. Another fitness center plans to call Evanston its home in mid-2018, just across the street from TITLE Boxing Club. Spenga, a workout franchise, is in the permitting process of opening a studio in the empty part of the building at 1026 Davis St., said Kathleen Smith, who will run the location. Spenga will share the building space with Lulu’s, Taco Diablo and Five & Dime. Spenga stands for spinning, strength training and yoga, which are the three components of the hour-long workout offered at the boutique studio, according to the chain’s website. Smith said the fitness center welcomes all levels to participate and allocates 20 minutes to each activity: riding on a bike, performing high-intensity interval training workouts and doing a final yoga cooldown. Downtown Evanston already has a variety of options for people looking to exercise, but Smith — who used to live in Evanston — said this is an opportunity to provide a unique workout experience for Northwestern students and the wider community. Smith is also the owner of a Spenga studio in Glenview, Illinois, which opened in March and was the franchise’s third location. The first gym opened in Mokena, Illinois, two years ago. The franchise has additional plans to open in Colorado, Michigan, North Carolina, Ohio and Texas. The Evanston studio will have six to eight classes per day beginning at 5 a.m., according to Spenga’s website. Spenga provides a free session for first-timers and offers memberships at three levels — unlimited visits for $139 per month, two classes a week for $119 per month or one class a week for $69 per month. However, Smith still needs to obtain city approval of a special use permit to operate a commercial fitness establishment in the zoning district, said Marty Cless, co-owner of the Davis Street building. Smith’s permit application will next appear in front of the Zoning Board of Appeals on Oct. 3. If approved, it will be introduced in a subsequent City Council meeting, Cless said. “I feel having Spenga as a tenant will be mutually beneficial as it activates this corner of Davis further and Spenga will benefit from the heavy foot traffic,” Cless said.